Hullbridge Juniors have secured promotion to Division 1 of the National Cadet League. 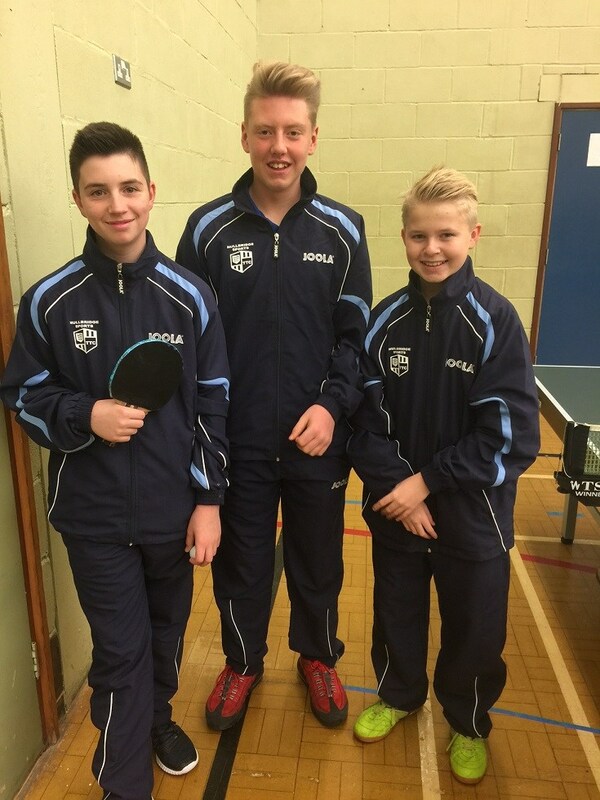 The team of James Goddard, Reece Harris-Griffiths and Dan Zeffie played 4 rounds of matches against teams from Norfolk, Suffolk and Essex, winning 24 out of 24 matches, dropping only 3 sets on the way. Well done to them all, to Howard Grant their coach and the parents who made the journey to support the boys.